RACE DAY IS SATURDAY, JANUARY 26, 2019! 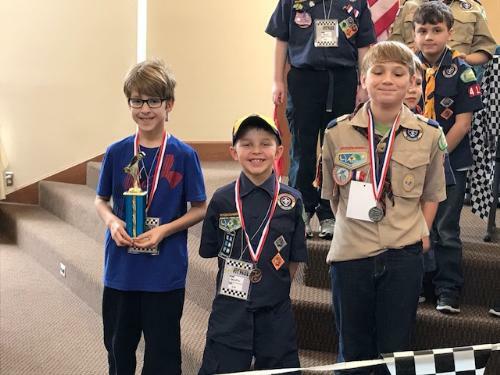 Become one of the millions of Cub Scouts who have been building and racing Pinewood Derby cars since 1953. 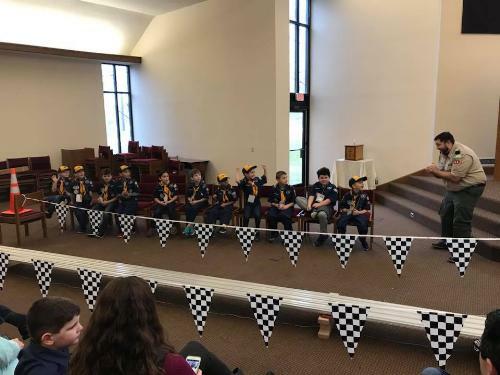 Partnered with a parent or adult mentor, Cub Scouts work together, strengthening bonds and building confidence--and their own custom race cars! 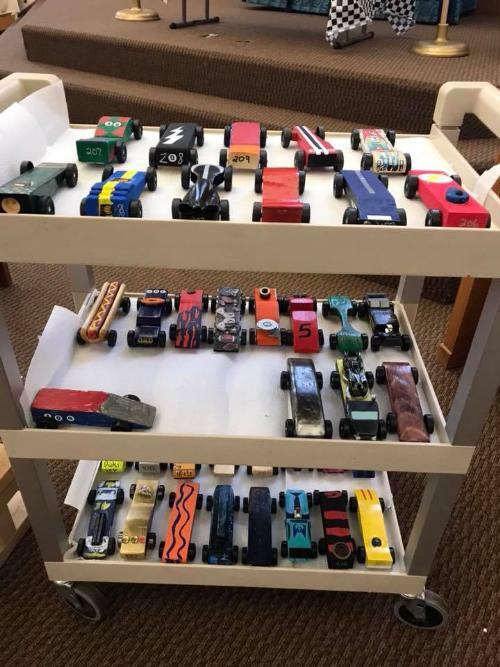 They begin by choosing a car design, then carve it out and detail it with paint, details and other accessories, and perfect strategies to compete in the Pack's own Pinewood Derby race. 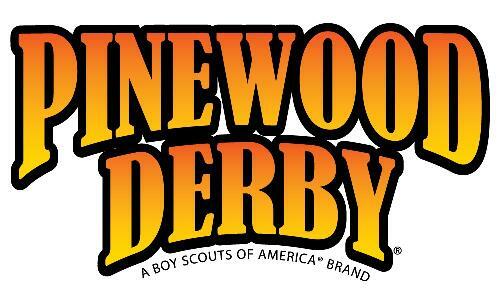 For the official Pack 417 Pinewood Derby Rules, please see the downloadable document at the bottom of the page. For further information on the schedule of events, please see below. Rules: All Scout cars must adhere to the Official Pack 417 Pinewood Derby Car Rules (attached below), and be weighed in at one of the two weigh in nights (see further info below) PRIOR TO race day as per the Google Calendar. 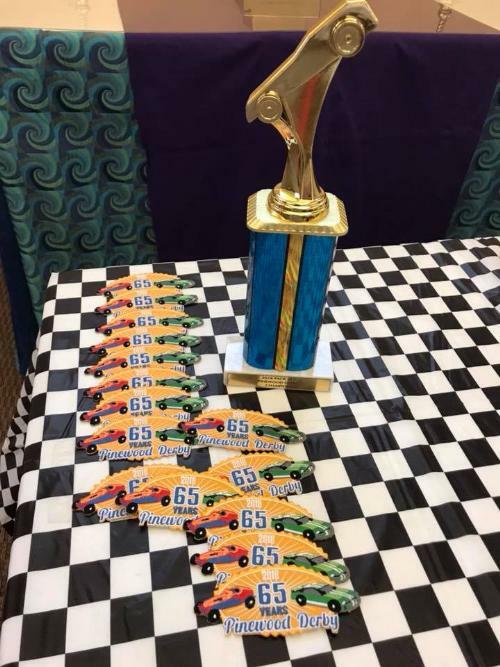 Please note, to ensure equitable racing, we strictly adhere to the Official Pack 417 Pinewood Derby Car Rules during weigh in, PLEASE PLEASE PLEASE ensure you read and understand the rules prior to starting your car, as we will not deviate!!! New this year, all Scouts will report to Race Day at the same time, as we have secured a much larger facility at Christ's Church for Race Day, we can accommodate the entire pack, family, and friends at the same time. Rank Races: Consistent with years past, we will first race by Rank - Lion, Tiger, Wolf, Bear, Webelo, and Arrow of Light (i.e. all Lion's will race against each other, then Tigers, so on and so forth). Parent Race: New this year, we are adding the inaugural Parent Race, this is a no rules race, except for; the car must fit on the track, and the car can not impede another racer. We will have kits for sale at the December pack meeting, or you can purchase a kit at the Scout Shop. Open Race: Also new this year, we will have an open race for those that wish to participate (including Siblings, Parents, Family, Friends, and Scouts). This is also a no rules race, except for the car must fit on the track, and the car can not impede another racer. We will have kits for sale at the December pack meeting, or you can purchase a kit at the Scout Shop. Point System: The determination of place is based on a point system. Each Race will be run in a series of heats, each car will race three times, once on each lane. The first place finisher of the heat will receive 1 point, second place 2 points, and third place 3 points. The car with the lowest amount of points at the completion of all heats will be 1st place, second lowest amount of points 2nd place, and third lowest amount of points 3rd place. In the event of a tie in the top three spots, there will be a single race run off, with the lane chosen at random. Please note, the speed of the car will have no bearing on final determination of 1st, 2nd, 3rd, only points. The speed function of the racing software is not consistent, and would be an unfair metric in the determination of final placing. Each Scout participating in the Derby will receive a patch. Rank Races - The 1st, 2nd, and 3rd place cars by Rank will receive a corresponding pin. Pack Championship - The 1st, 2nd, and 3rd place cars will receive a corresponding medal. Parent Race & Open Race - Racing is for Pride! 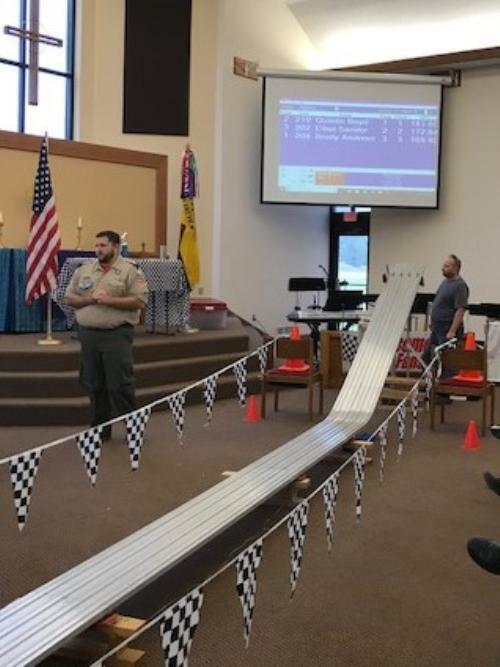 Pinewood Derby Workshop - Understanding all Scouts don't have access to the tools needed to make a Pinewood Derby Car, or for those first timers that have questions etc., we will have an open work shop at Mr. Boyd's garage. During the work shop we will assist in cutting out a simple car design, sanding the car, and help answer any questions you may have. All painting, weight adjustment, final tire placement, etc. will be done on your own. The work shop is 100% optional. Pinewood Derby Weigh In - All Scout cars must be inspected and weighed in to ensure adherence to the rules prior to Race Day. We will have two separate weigh in nights for your convenience, please see the Google Calendar. 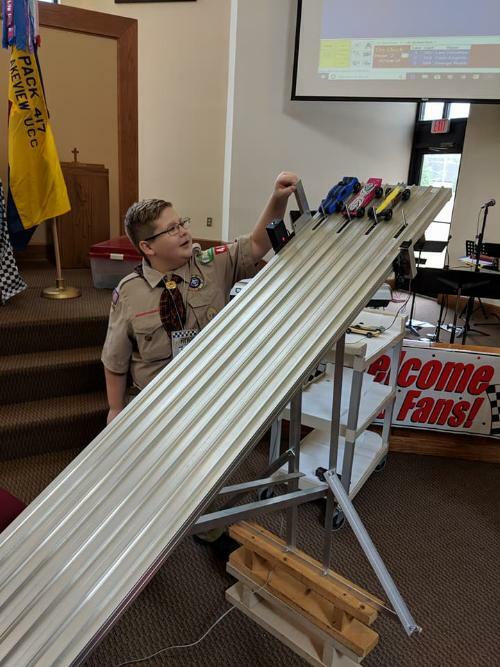 During the weigh in, we will weigh the car, inspect the car to ensure compliance with the Official Pack 417 Pinewood Derby Car Rules, as well as assign the car a three digit racing number. If you are under or over weight, or not in compliance with a particular rule, you will have a chance to correct the issue. We strongly recommend coming to the first weigh in night so if there are issues, you have time to take the car home, adjust, and re-weigh in the second night. PLEASE NOTE, WE WILL NOT HAVE ANY WEIGHT TO ADD TO THE CAR DURING WEIGH IN'S! THERE WILL BE VOLUNTEERS TO HELP WITH CARS, BUT WE WILL NOT BE PROVIDING ANY WEIGHT! !